Read this eye opening book for a shocking answer. 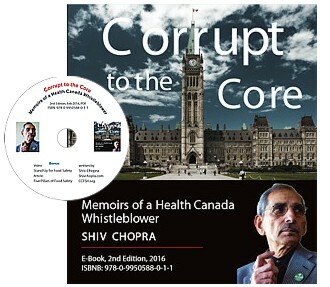 Shiv Chopra is a hero … who took on the powers at Health Canada. Here is a full account of how government corruption endangers the public food supply. A courageous writing; [it] provides a dose of resilience to all who care about the integrity of science, independence of government regulations … and the freedom of citizens from hazardous food and medicines. It takes heroic personal courage to research and publicize adverse or critical findings on products and policies endorsed by the governments involved. Look forward to a sequel.